If Zion I Kings’ debut dub album Dub in Style was a melodious and graceful affair the second one Dub in Zion is something different. It’s more of everything. And heavier, darker and more experimental than its predecessor. Zion I Kings’ bass player and producer Jah David is responsible for most of the mixing, even though fellow musicians Tippy I and Moon Bain lend their talents to the project as well. Together they have utilized plenty of effects and cutting-edge dub wizardry. Dub in Zion collects ten tracks, of which the majority are unreleased rhythm tracks. And one would really like to have vocals put on several of them in the future. Many are eerie and grim – almost nightmarish – with a heavy dose of anxiety and wicked energy. Standout cuts include the dreamy Humble Thyself Dub with its characteristic bass line, Incient Knowledge Dub with its lingering melody and Iritikal Repatriation Dub with its smattering percussion. Dub in Zion is far from as immediate as Dub in Style. It’s a certified grower and needs a couple of spins until it can be fully appreciated. But don’t worry – it’s totally worth the effort. Guyana-born singer Arkaingelle dropped his debut album O’Pen back in 2008 and since then he has only released a couple of tracks here and there, including excellent efforts on the compilations Nyacoustic Chants and Jah Golden Throne. Both those sets were put out via Zion High Productions and they are also responsible for releasing his second album Tru Da Fyah. The album is crafted and produced by Zion I Kings, one of the strongest forces in contemporary reggae music with their signature smooth and melodic audio landscape. And by just glancing at the striking sleeve you get a strong hint on what this album is about – spiritual Rastafari lyricism and devout chants and praises of the Most High. Just as many other sets produced by Zion I Kings, this album is coherent both musically and lyrically. Arkaingelle sings – or chants in a more melodious Akae Beka style – over expertly produced riddims. Just listen to a cut like No Race with its lingering synth melody, Children of the Most High with its dubby audio landscape, the nyabinghi-tinged Ancient of Days and skanking Herbalist. This is music with a message. Acclaimed U.S. production trio Zion I Kings is behind several of the finest reggae releases in recent years, including beautiful sets by Jahdan Blakkamoore, Lloyd Brown and Pressure. Now comes the first album under their own name. Dub in Style is a tribute to the late drummer extraordinaire Lincoln “Style” Scott, who started playing drums in the early 70s and went on to record for many of Jamaica’s top producers as part of the Roots Radics band. He and Roots Radics are closely associated with rub-a-dub, a sound that defined the early dancehall era and together they recorded some of the deadliest riddims and records of all time. Bassist Jah David, keyboard player Tippy I and guitarist Moon Bain are collectively known as Zion I Kings and for each production they work with a number of different musicians. In 2014 they had the opportunity to work with Style Scott and all riddims on Dub in Style were tracked in one day at the Tuff Gong studio in Kingston, Jamaica. The tracks recorded that day appear on releases from Midnite, Akae Beka, Pressure, Ziggi Recado, Jahdan Blakkamoore and Glen Washington. And a number of those cuts – plus a few others – have now been given an excellent dub treatment by Digital Ancient and Jah David. They use some of the key dub ingredients, but they also focus on the strength of the rhythms and the real heroes on Dub in Style are the instruments, which are given plenty of space to shine. Highlights include the playful Spare Change Dub with its beautiful horns and rolling bass line, the sombre Snow Hill Dub with vocals courtesy of pop/folk singer Sara Azriel and the militant Cold War Dub with its lingering Spanish guitar and fanfare like horns. Dub in Style is melodious and graceful dub of the highest calibre. 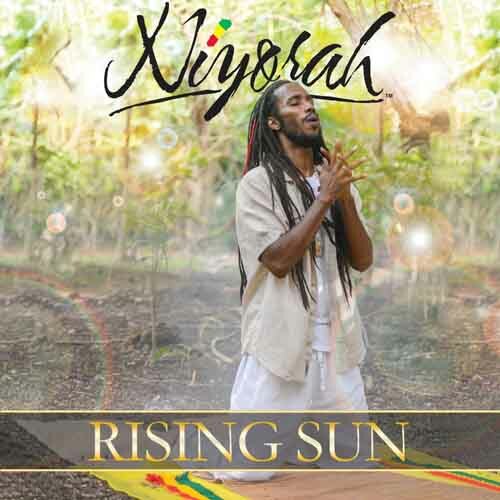 With producers from about eight countries Niyorah’s fourth album Rising Sun would be destined to being a much varied and erratic set. But it’s actually not. And somehow it all balances very well. The album collects 13 tracks with production credits from acclaimed producers like France’s Bost & Bim, Austria’s Irievibrations, Zion I Kings from the U.S and DJ Frass and George “Dusty” Miller from Jamaica. And it presents some of Niyorah’s best material to date. Apart from Midnite and Pressure he’s probably one of the most prominent artists from the Virgin Islands. He has for many years dropped conscious and spiritual music telling stories from the streets and from the heart. Rising Sun is no exception. Rain Forrest is a beautiful environmental prayer, Media Portray is an unforgiving attack on popular culture, War is Not the Answer is a plea for equality on Zion I Kings’ gorgeous Song Bird riddim and Medicinal Ganja is an angelic marijuana anthem. But the best cut is the infectious and pulsating Let Love Flow, a track that might be a highlight of Niyorah’s career. He is a talented performer and has a slick way of mixing sweet singing with fierce deejaying. And it might just be his captivating flow that keeps the set together. Last year I interviewed Jah David, bass player and musical director in Zion High Productions as well as member of acclaimed production trio Zion I Kings. In the interview he mentioned he was working on an album from saxophone player Jah Bless. Now that set has arrived. To state that the reggae market today is overflowed by instrumental sets would be a grand exaggeration. Vocal sets are the order of the day and dub albums are far more common than instrumental albums. It was however different in the 60s and 70s when instrumental reggae efforts were part of a label’s regular output. I’m a huge fan of instrumental albums and was really looking forward to this new album from Jah Bless. He’s carrying the tradition forward and this is a set in the same tradition as the great instrumental sets from the likes of Tommy McCook and Roland Alphonso. 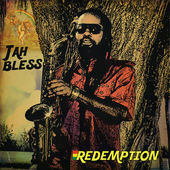 Redemption is Jah Bless’ second album and it collects 14 sax-driven tasty and organic instrumentals, sometimes with a hint of funky jazz and sometimes accompanied with a dub workout on the mixing board. 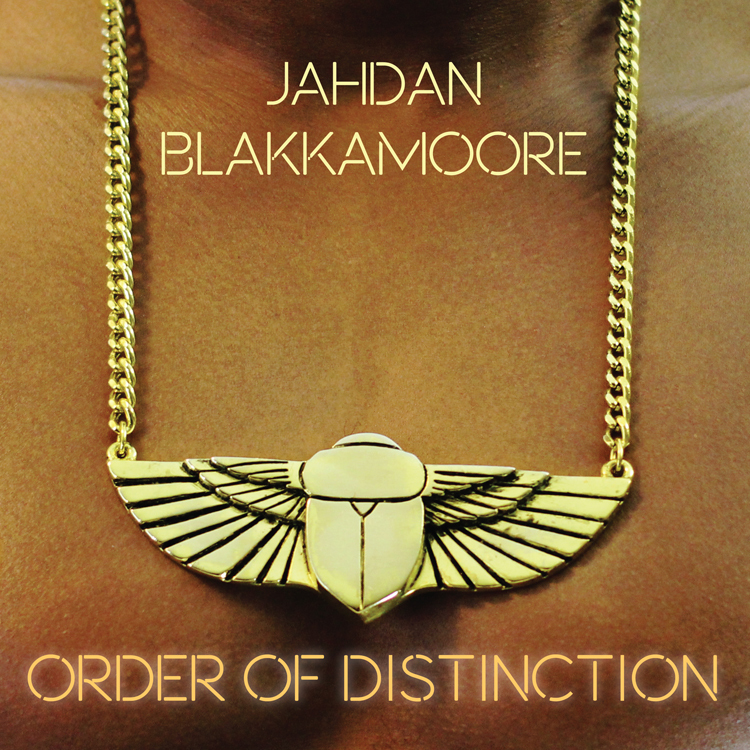 The riddims are steller and Jah Bless blows his horn with an elegant smoothness. Expectations are always high on Zion I Kings and they always manage to deliver accordingly. Essential for fans of bright and stylish reggae instrumentals.